For some reason these sounded the tamer of the two varieties. I carefully prised open the paper bag, and took a closer inspection. Yes they looked just like sweet mini doughnuts, but there was an aroma akin to something found in a fish and chip shop and my senses weren’t quite sure what to make of it all. I carefully took a bite. 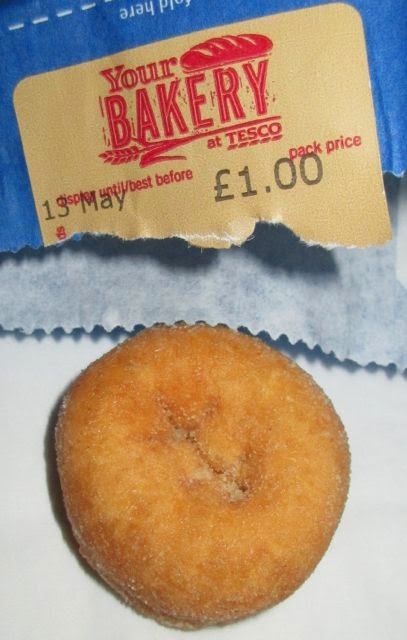 The doughnut was soft and spongy and has a pleasing texture, but the flavour was distinctly salty with a heavy hit of vinegar, and just to add to the weirdness, slightly sweet too. I spent the first mouthful trying to work out was was going on, by the second I got used to it and the the third (I ate them in three bites) I quite wanted another one! I put this down to my taste buds liking sweet and salty popcorn and just needing to get used to the texture and the vinegar. Odd but nice, far better than I thought it be! Okay even after my positive experience to the Salt and Vinegar flavour, these ones still took the biscuit for being strange. As I opened up the bag the cheese and onion smell was quite strong, and felt wrong. 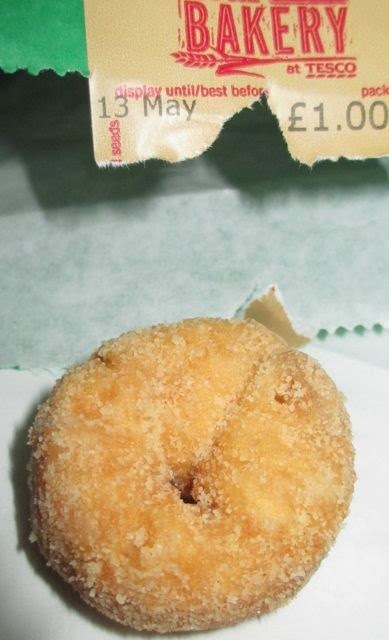 Cheese and onion, on a doughnut? I eventually bit in and tried to get used to the flavour. The cheese wasn’t as strong as I’d expected, but the onion was very much present. There was still a hint of sweetness but it seemed milder, as it mingled with the onion it gave them an almost garlic like base flavour. Yet the texture was still soft and cake like. 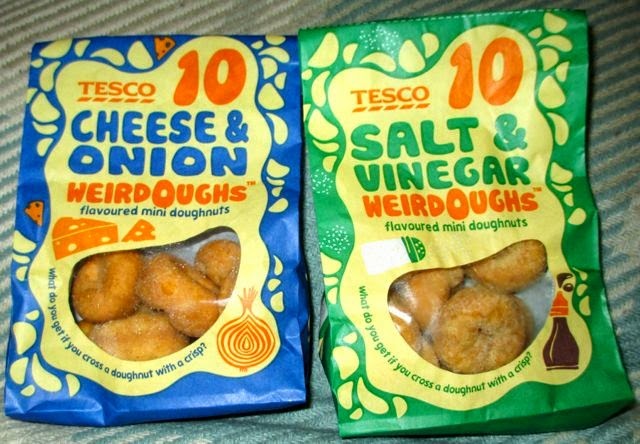 I couldn’t get used to these, the flavour didn’t seem to settle to with me, they felt like doughnuts flavoured like crisps, which I couldn’t get past. Although they didn’t taste as bad as I thought they would, they were surprisingly okay and done as well as Cheese and onion doughnuts could be done. The salt and vinegar ones are lush and they now do bacon flavour which I also enjoyed!